Meet 6 Guardians of the Environment and learn about their sustainable projects. Use their tools to transform your life and community. H.R.H. 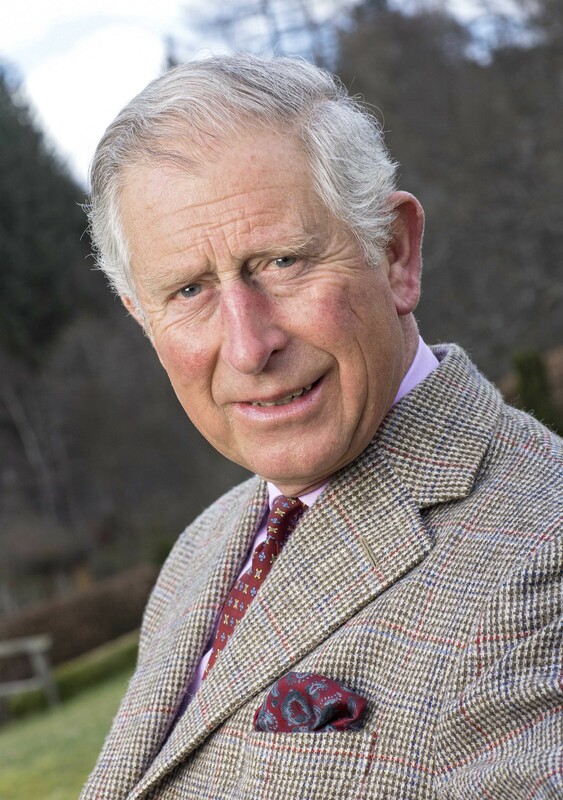 The Prince of Wales. © The Prince of Wales. Used with permission. As Guardians of the Galaxy Volume 2 sings to the tune of $659 million in worldwide sales and scores #2 at the box office (after two weeks at #1), I thought it was appropriate to make a list of Earth Guardians to cheer for. This magnificent planet nourishes and provides for us, unlike any other rock that we’ve yet discovered among the stars. And there are countless Guardians of the Galaxy who are working ardently to keep is that way. Few people have been lecturing as long about sustainability (4 decades), and living as harmoniously with nature as H.R.H. The Prince of Wales. H.R.H. took heat for his prescience in 1975, when he converted his Home Farm into an organic farming system. He’s now widely regarded as a visionary. The Duke of Cambridge (Prince William) and Prince Harry have both been influenced by the way their father has championed sustainability. In 2014, The Duke of Cambridge studied agricultural management at the Cambridge Programme for Sustainability Leadership (CPSL). In 2016, Prince Harry went to Malawi, Africa to save 500 elephants in a relocation project sponsored by African Parks. You can learn more about the wisdom of one of the most prominent guardians of Mother Earth in the book, Harmony. Listen to some excerpts here. Prince Harry in Malawi, Africa, working with African Parks to relocate (and save) 500 elephants. © The Royal Family. Used with permission. 2. His Holiness, The 14th Dalai Lama of Tibet. His Holiness, The 14th Dalai Lama of Tibet on November 7, 2012. Photo by: Rédacteur Tibet. Used in accordance with Wiki Commons. The Dalai Lama is a world-renowned leader of peace, a Nobel Laureate and so much more. However, he is also a champion of sustainability. He has a web page devoted to the environment, with many messages and resources on protecting our planet. His powerful and practical speech, “Practical Steps Toward Protection of the Environment,” was first delivered on Tibetan Democracy Day, September 2, 1994. For his 80th birthday celebration, on July 6, 2015, The Dalai Lama brought together scientists, Nobel Peace prize winners, artists and activists to discuss the urgency of protecting the planet now. Kathleen Rogers, president of the Earth Day Network. Kathleen Rogers leads the world’s largest environmental organization, the Earth Day Network, which partners with 50,000 partners in nearly 195 countries. Kathleen has over two decades of experience in many areas of sustainability, having worked in conservation as the Chief Wildlife Counsel for the National Audubon Society and in private practice defending the environment against white-collar crimes. The Earth Day Network was one of the co-sponsors for the March for Science on Earth Day 2017. On the first Earth Day, April 22, 1970, it is estimated that 20 million Americans launched the environmental movement in the U.S. by having a massive teach-in on college campuses and in communities. Shortly thereafter, the Environmental Protection Agency was founded, and the Clean Air, Clean Water and Endangered Species Acts were passed. The Earth Day Network offers excellent resources for greening our schools (and saving hundreds of thousands of dollars annually in operating costs), reducing your personal carbon footprint, conservation, information, data and organizing. Elon Musk at the 2015 Annual Tesla Motors Shareholder Meeting. Photo by: Steve Jurvetson. Used in accordance with Wiki Commons. Few billionaires have done more for the planet than Elon Musk. He developed the first all electric sports car that didn’t drive like a golf cart. In fact, the Tesla Roadster accelerates faster than a Ferrari, and the Tesla S sedan achieved the highest safety rating ever given by National Highway Traffic Safety Administration (NHTSA) when it launched. He’s now developing solar roof tiles. And in his spare time, he launches spaceships, with a personal destination of Mars. He’s open-sourced the technology of Tesla Motors EVs for other auto manufacturers to copy because “Tesla can’t build electric cars fast enough to address the carbon crisis.” EVs cut the cost of fuel in half (or more) for most commuters, while keeping our air clean. Kim MacQuarrie and Ciara Byrne, the co-founders and co-CEOs of Green Our Planet. Who would have thought the one of the largest school garden projects in the U.S. would flourish in the desert? Ciara and Kim started Green Our Planet just 4 years ago in Las Vegas, Nevada, with a goal of saving millions of gallons of water, while taking school kids outdoors to dig in the dirt for their learning. On May 4th, over 300 students from 30 Clark County School District schools gathered for the largest student-run farmers market in the U.S. at Zappos headquarters, thanks to sponsors Zappos and the Mentors Foundation, and inspired by Switch. Green Our Planet has gardens and outdoor learning curriculum in 111 CCSD schools, with another 50 on their waiting list (planting one new garden per week). Their crowd-funding model, combined with grants, puts the cash at hand for this popular school enhancement. The added benefit is all of the money the school saves on water. The largest student-run farmers market at Zappos Headquarters in Las Vegas, Nevada on May 4, 2017. Photo by: Tom Kovach. © Green Our Planet. Used with permission. Dr. Paula Kahumbu, the CEO of WildLifeDirect. © WildLifeDirect. Used with permission. Dr. Kahumbu is the CEO of the Kenyan conservation NGO WildLifeDirect. She produces NTV Wild Talk, a wildlife series by and for Africans, with the goal of restoring the indigenous, ancient relationship that Africans have with their wildlife, forests and oceans. This is key to eradicating the ivory poaching industry. Protecting elephants, rhinos and other endangered wildlife requires a holistic approach that includes laws, enforcement, education, jobs and galvanizing the local community. Together with Kenyan First Lady Margaret Kenyatta, Paula also leads the hard-hitting Hands Off Our Elephants campaign. If you’d like to learn more about conserving these iconic, endangered animals, visit WildLifeDirect.org. Each of these six Guardians of the Environment is featured in the Earth Gratitude project ebooks and 14-day virtual event. You can learn more about their projects, their wisdom and how you can help by downloading the Earth Gratitude ebooks and participating in 14 Days of Gratitude and Sustainability. The ebooks and virtual event are free. Visit the website, download the ebooks and register for the virtual event at http://earthgratitude.org/. I look forward to learning more about your Guardian of the Environment — perhaps it is you! Please include #EarthGratitude when you share. I’ll feature more of my Guardians of the Environment in an upcoming blog (Volume 2). Natalie Wynne Pace is the co-creator of the Earth Gratitude project and the author of the Amazon bestsellers The The Gratitude Game, The ABCs of Money and Put Your Money Where Your Heart Is (aka You Vs. Wall Street).